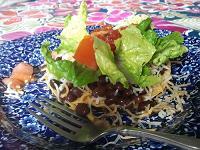 Tortilla Pie is a simple tasty meal to prepare and add to the healthy recipes you prepare weekly! It deserves a spot in your meal planning rotation. It’s been a favorite of mine for many years, but I’ve updated it a bit with fresh and healthier ingredients. My old recipe used ground beef, but we seldom eat red meat these days due to dietary restrictions in my family. I have found that better ingredients yield a better tasting pie too. I would recommend using organic chicken that is grass fed. 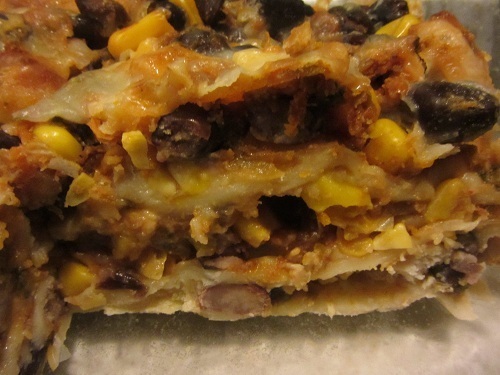 I guess the recipe should be called a layered casserole, because I would never bake it in a pie pan. We love leftovers way too much and a pie pan is small! So here is a larger recipe that I have adapted to fit into a 9 by 13 pan. 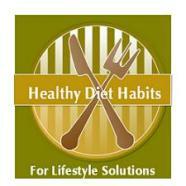 It’s always a healthy diet habit to make extra food, and to learn to incorporate leftovers into your planning! In a large electric skillet or pan over medium high heat, stir fry garlic, onion, chicken, and jalapenos, until lightly browned. Add the cumin, and salt, and pepper. 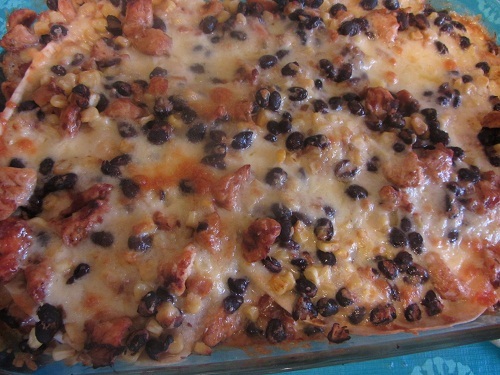 Add black beans, water, 1 cup of salsa, corn, and cook for a few minutes until the mixture is heated through. Lightly oil a 9 by 13 pan. On the last layer add 1 cup salsa before the final cheese layer. This is an easy meal to make ahead of time and store in the refrigerator. Prepare a vegetable laden salad and you have a wonderful meal that is good enough for company. I usually leave the onion out, because I have picky eaters. Another helpful tip is to buy non chunky salsa, if you have picky eaters or place your chunky salsa in your blender first! If you are vegetarian or vegan, it’s simple to just leave the chicken out of the recipe. I like to substitute a pound of chopped zucchini for the chicken too. Use your favorite vegan cheese that you would use in your main dish recipes. Costco has an Organic Salsa medium that is not chunky. You must buy 2 38 oz jars though. I recommend buying tomatoes and salsa that are organic. Good cheese that you grate yourself taste much better than grated cheeses coated with an anti-caking agent. Don’t be afraid to add an extra tablespoon of cumin. 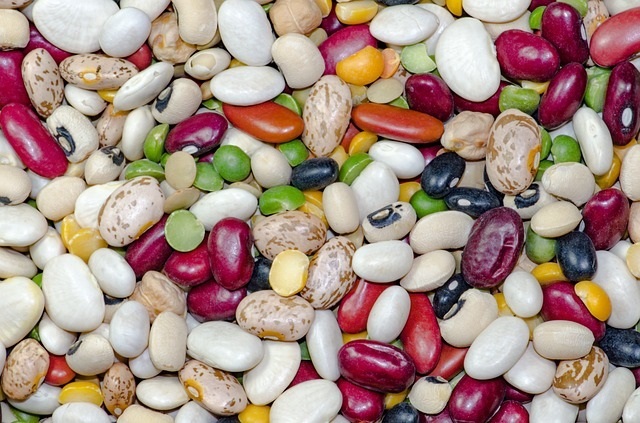 You can easily cook beans yourself and save money. You would need 6 cups for the recipe. If you make a huge pot of them, you can freeze them in portion sizes that you use.